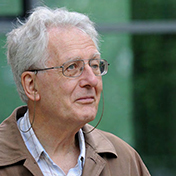 Klaus Rajewsky and his collaborators developed a general method of targeted mutagenesis in mouse embryonic stem cells by introducing bacteriophage- and yeast-derived recombination systems, which opened the way for conditional gene targeting. Using this and other novel approaches in their immunological work, they developed, together with NA Mitchison and NK Jerne, the antigen-bridge model of T-B cell cooperation, identified the B cell antigen receptor as a survival determinant of B cells, and characterized germinal centers as the sites of antibody somatic hypermutation and memory cell formation as well as the major source of human B cell lymphomas. The latter work included the identification of Hodgkin lymphoma as a germinal center-derived tumor. Over the last years the work of his group has focused on mechanisms of microRNA control and the development of mouse models of human B cell lymphomas. After postdoctoral work at the Institut Pasteur in Paris, Klaus Rajewsky built an immunology department at the Institute for Genetics at the University of Cologne, where he stayed for 38 years, with a part-time appointment as founding Program Coordinator of the EMBL Mouse Biology Program at Monterotondo near Rome in the later years. He then worked for 10 years at Harvard Medical School in Boston, USA, and is now at the Max-Delbrück-Center for Molecular Medicine in Berlin, Germany.